A dry cough is a cough that is accompanied with phlegm or mucous. Most dry coughs are a reaction to an environmental allergen, pollutant or toxin. The body attempts to expel the irritant from the respiratory system by coughing it out. A dry cough can also be a symptom of an illness or a side effect of certain medications. In the absence of a serious illness or when medications are not the cause, home remedies can be used for treatment. Natural home treatments can reduce the frequency of coughing and can soothe throat soreness and irritation. Drink water often to add moisture to your throat. You can drink other drinks besides water if you choose, as long as they are not acidic. Acidic drinks, such as orange juice, can irritate a dry throat. Run a humidifier in your home or office to add moisture to the air in your environment. 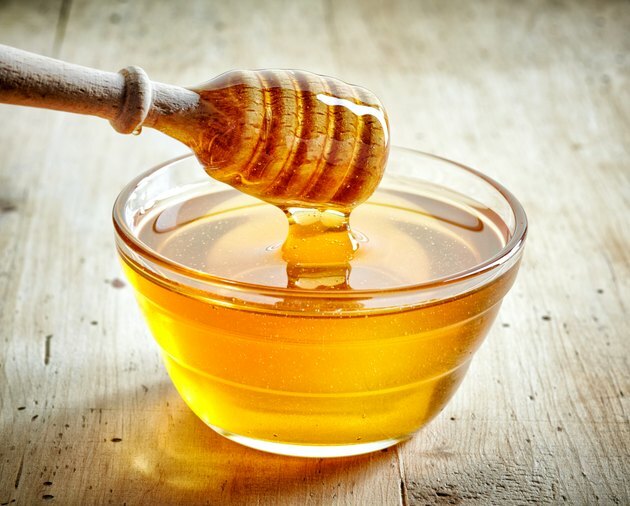 Eat a tablespoon of buckwheat honey to soothe your sore throat and reduce the frequency of coughing. A study published in the December 2007 edition of "Archives of Pediatrics & Adolescent Medicine" found that buckwheat honey effectively suppressed cough symptoms in study participants. The buckwheat honey can be eaten plain, dissolved in warm water or mixed in an herbal tea. See "Warnings" section below. Avoid cigarette smoke, known allergens, harsh chemical odors and other harsh fumes. If you live or work in an area where pollution or toxins are prevalent, run an air purifier in your home or office to filter irritating chemicals out of the air. Buckwheat honey can be purchased at some health food stores. If you cannot find buckwheat honey, use a different variety of honey. Although buckwheat honey was used in the scientific study, it is likely that regular honey also reduces cough symptoms. Do not give honey to a children who are less than 1 year old. See a doctor if cough symptoms persist for more than two weeks. See a doctor if you cough up blood. See a doctor if your coughing is accompanied with a fever of 101 F or higher, night sweats, weight loss, difficulty breathing, or a wheezing or cracking sound in the chest.